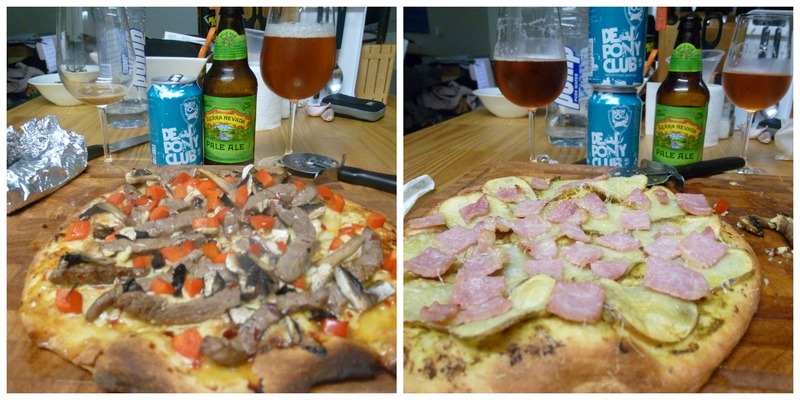 Since pizza is just such a good beer food I have recently been working on my pizza making skills. 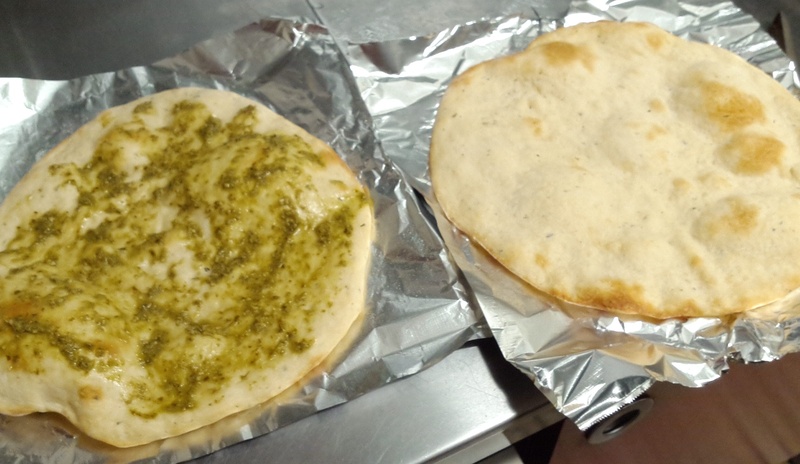 In the beginning my skills were actually less about skill and more about how-much-stuff-can-I-put-onto-one-piece-of-Lebanese-bread. This was followed by the fun game of ‘how do I get it into the oven’. The process often resembled an attempt at a magic trick as I quickly slid the pizza from cutting board to tray. All in all it was a fairly messy affair. 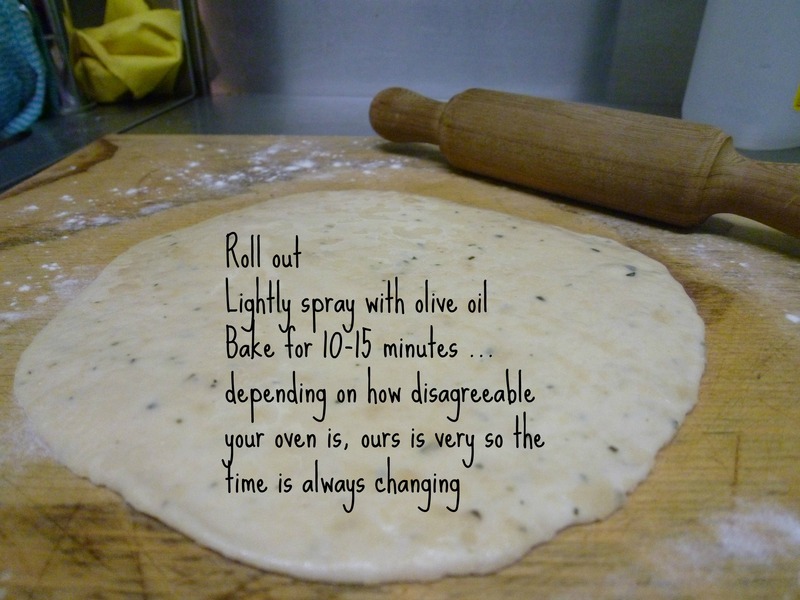 Since then I’ve tried, with some success, to adapt to the ‘less is more’ style of pizza topping. 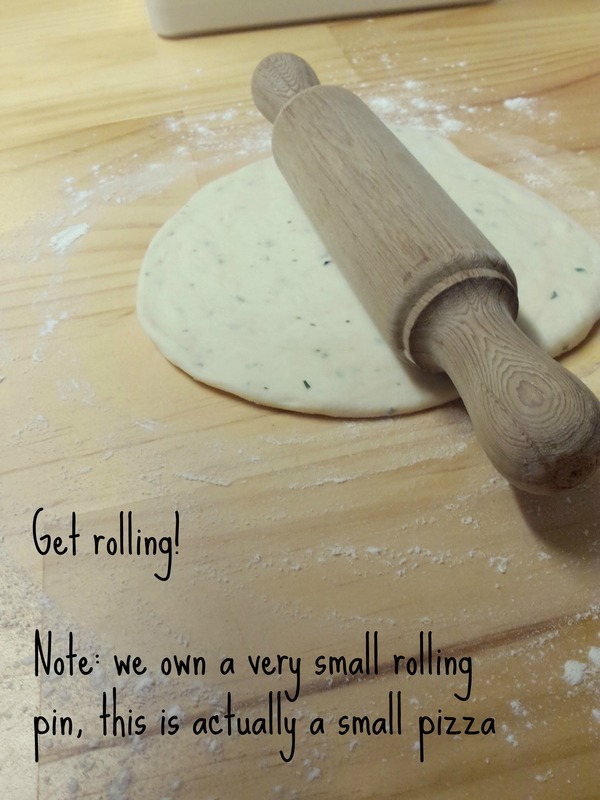 I have also been trying my hand at making my own pizza dough from scratch. 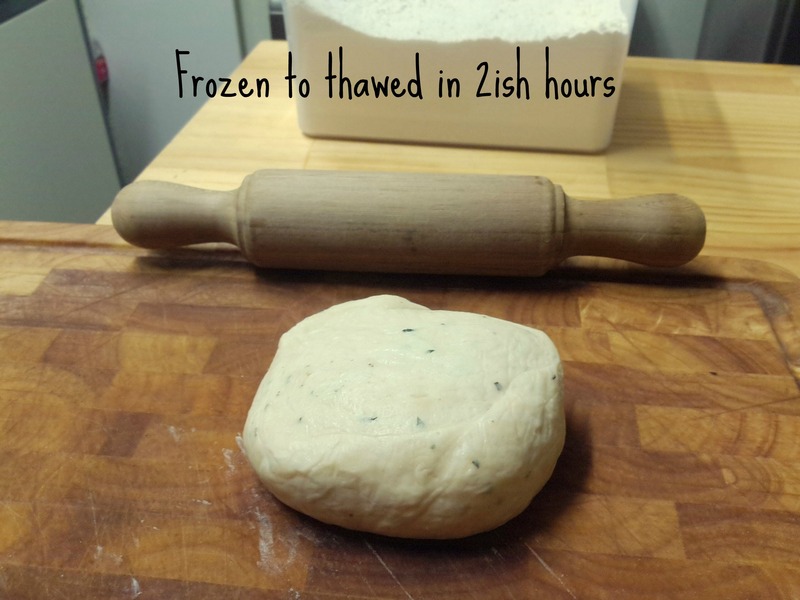 It is a simple recipe and the dough freezes/defrosts very well. 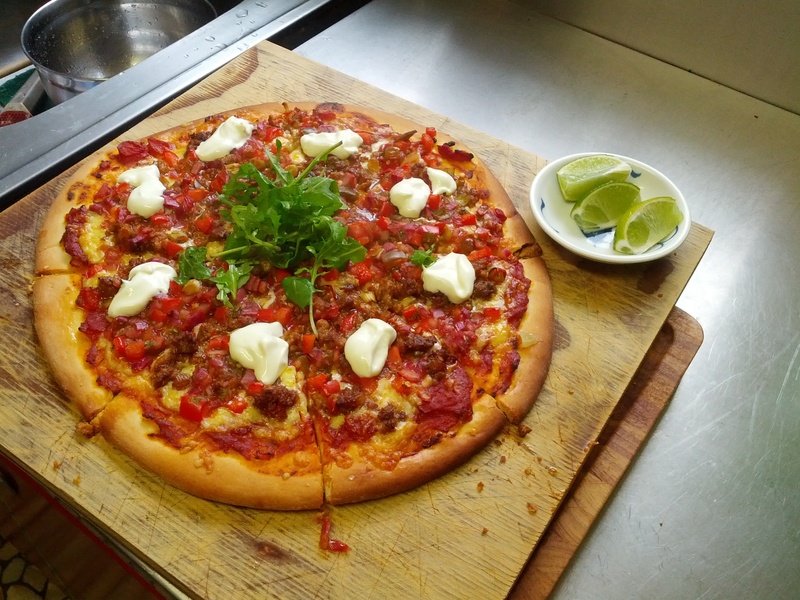 The fun and sense of accomplishment in making my own pizza dough, so far, outweighs the convenience of buying Lebanese or pita bread from the shops. However I do acknowledge that perhaps over time this will change and I’ll get lazy/latch onto something else I want to cook obsessively but for the time being I’m all about the dough. Plus putting floury hand prints around the house/partners face/dog is lots of fun. 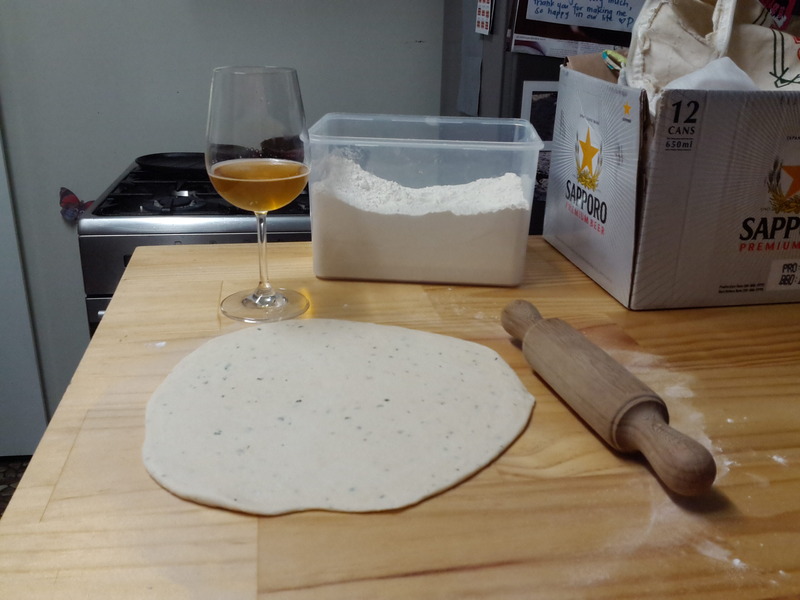 Having been successful with this recipe I was inspired by The Beeroness’ own pizza dough recipe that uses beer, garlic powder and fresh minced rosemary. Sadly I had no appropriate beers to use as either a) they were huge imperial somethings or b) I wanted to savour every last drop and not bake. 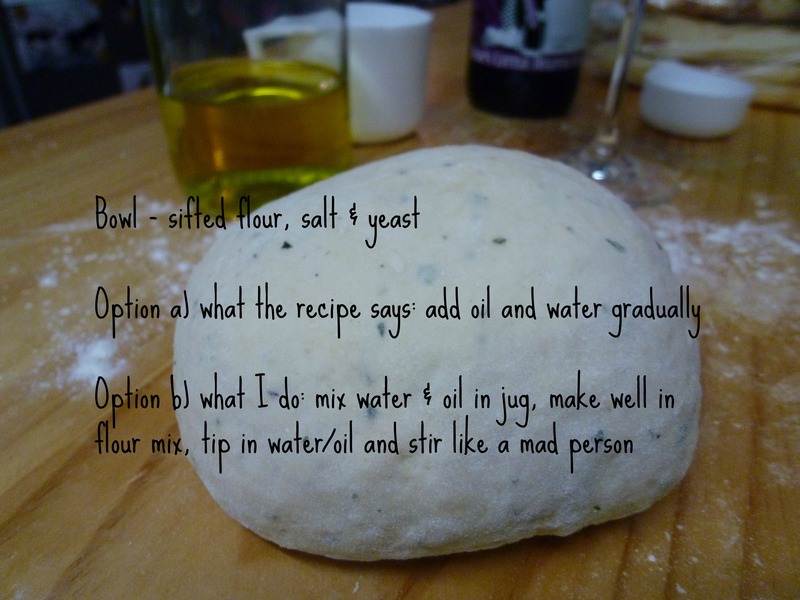 Instead I took on the rosemary and garlic powder measures and threw it into my already tried and tested pizza dough recipe. 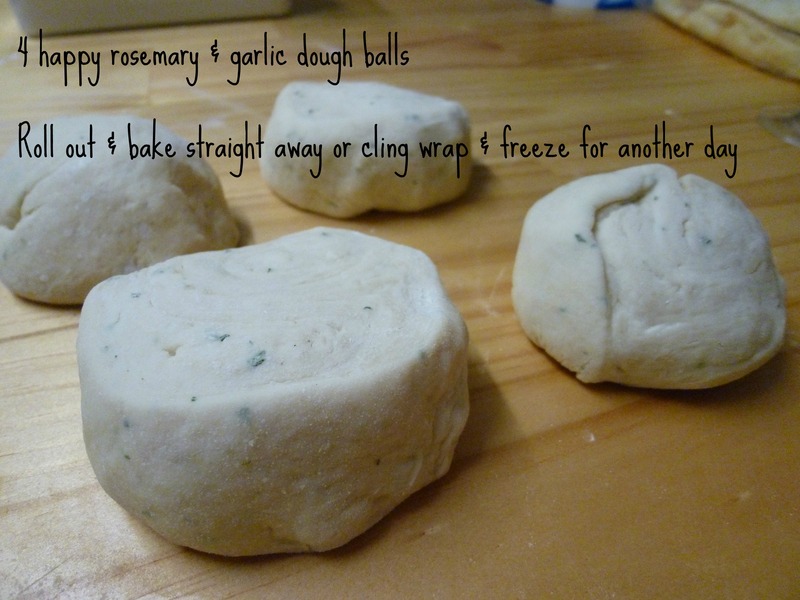 The result was four delicious pizza dough balls ready to bake or wrap up and toss into the freezer for another time. I’ve never really understood garlic powder until I put it into my pizza dough. Why would you use powder when fresh garlic is so amazing? 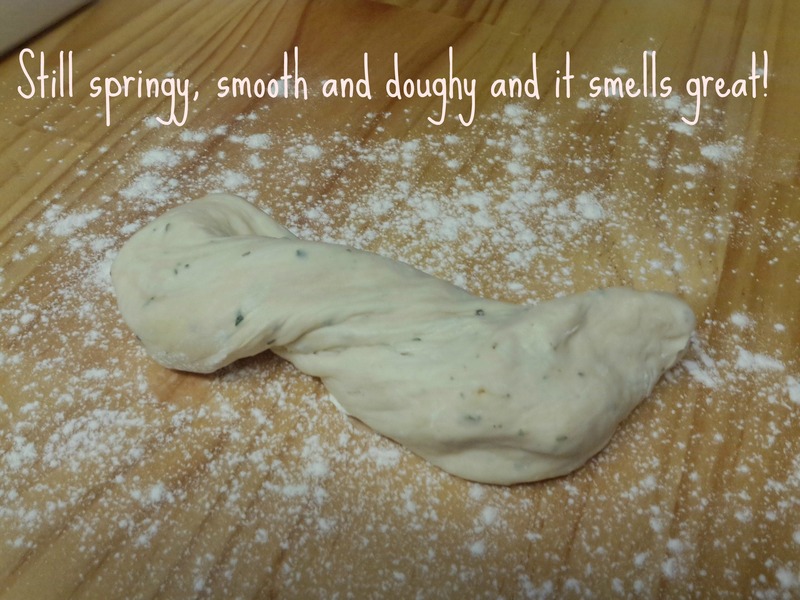 Well, for dough, it’s perfect for a whack of flavour without the added moisture that you’d probably get from the fresh stuff.